INTACH has invited nominations from you for the Second Annual INTACH Heritage Awards, given to Bengaluru’s heritage buildings. Citizens can nominate the heritage buildings that they think deserve an award — the beautiful ones that make you sigh, the charming ones that you think gave Bengaluru its unique charm, the hoary old ones that tell stories of our past. These awards help to showcase Bengaluru’s heritage, and to keep heritage in the public eye, so do take a moment to nominate a building! Awards will be given in the categories of Public (Government-owned), Private (institutional) and Private (Residential). The buildings should have been built before Independence. Selected buildings, as judged by a jury, will receive an award and a citation. You can fill in the award nomination form online here: https://www.surveymonkey.com/r/7L8SRSY. You can also download the form and mail or email it: http://www.intachblr.org/files/intach-award-nomination-form-2.pdf. The last date for nominations is April 1st 2016. The INTACH Bangalore team comprises architects, planners, engineers, writers, and others who try to preserve the cultural legacy of the city by creating awareness, mediating between the government and the public, offering architectural and engineering consultation to owners of heritage buildings, and documenting heritage structure. The two-day seminar, conducted on the 6th and 7th of February covered various self-defence situations and number of ground fighting techniques and principles. 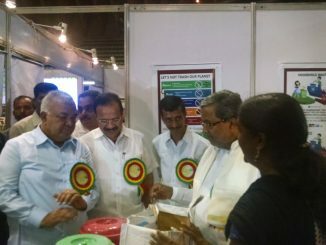 On World Environment Day, waste management experts highlighted the need for a sustainable and permanent solution to waste management in Bengaluru, to the Chief Minister. Enter these narrow lanes of old Bangalore to find the best bargains and come out with laden bags and not-so-empty wallets.